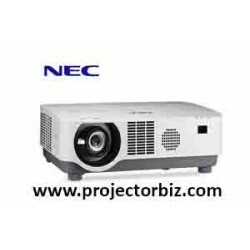 For business or pleasure, this high-quality and easy-to-use XGA , 4.200 -lumen Bright Portable projector works equally well at education environments or at Education . 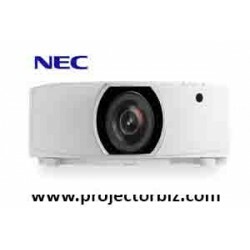 An XGA ,4.200 Lumens Bright DLP Projector with a vast range of adjustment, and BrightEra for higher quality colour and a longer lifespan and superior images and a long-lasting, low maintenance performance. 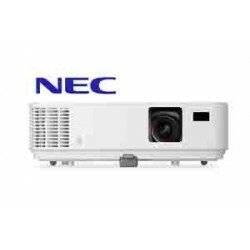 The widescreen NEC MC421XG is designed to provide higher brightness for classrooms, meeting and conference rooms that have heavy ambient light but require a small projector. This 3300-lumen lightweight mobile model is 3D Ready and includes a 8W speaker, closed captioning and NEC’s Virtual Remote control software. Its VIDI technology is a Philips innovation designed to work in conjunction with the color wheel, using a brilliant pulse to increase the brightness of the image and a dark pulse to increase the contrast ratio. Enhanced connectivity, including dual HDMI, computer input and RJ45, are clearly color-coded and labeled on the panel. 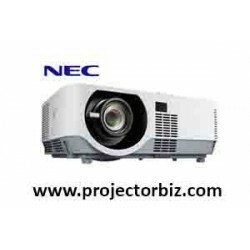 You can buy NEC NP-MC421XG online in Malaysia on www.projectorbiz.com, the best price and after sales services.